Rookie smarts is how we tend to think and act when we are doing something for the first time. Wiseman spoke about what she called “rookie moments.” These are moments when we’re tasked with accomplishing something for which we have little to no experience. Wiseman shared one of her own rookie moments when at the age of twenty-four she was asked to build and manage a university for Oracle, her employer, which at the time had 5,000 employees and an annual revenue of several million dollars. She was just a year out of business school. She recalled a moment when she was introduced by one of the company’s executives to an investor. The investor did little to hide his surprise of Wiseman’s age. Rather than defending her, Wiseman’s colleague agreed that she was “woefully underqualified.” In her own defense she replied, “Who wants a job they’re qualified for, there would be absolutely nothing to learn.” Over time she found out just how true her statement was. 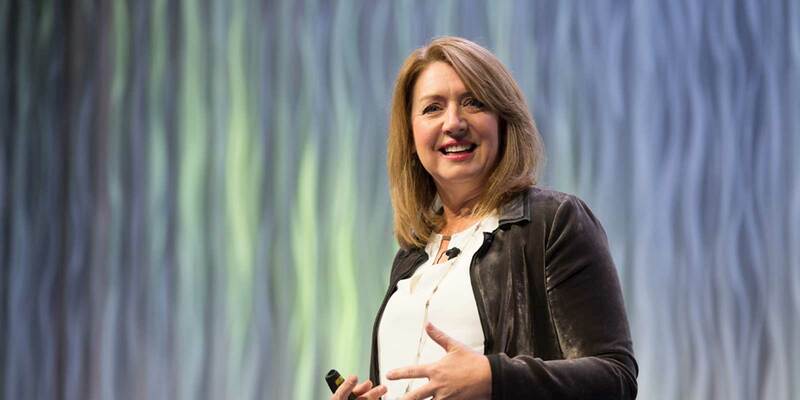 Wiseman grew immensely from her position at Oracle and discovered that there is much more than a silver lining to “rookie moments,” everyone has them—and that’s a good thing! These moments make us uncomfortable and cause us to grow in new and exciting ways. When we are forced out of our comfort zone, we’re anxious, we tend to take small careful steps, we ask a lot of questions, we reach out for help, we innovate, and we network. There is a clear upside to inexperience, and Liz’s studies have revealed that our level of satisfaction in life is directly related to how much we are being challenged. Wiseman shared a rookie moment of one of her ancestors, James Glen Allen, who grew up on a ranch in Wyoming. Everyone expected him to become a rancher, but he decided to become a mortician in Los Angeles. This self-imposed rookie moment led him to work harder, network, and reach outside of himself to succeed. Your own family history is an exciting place to look for your ancestors “rookie moments.” These moments can inspire you to seek out your own opportunities for growth and feel a stronger sense of satisfaction in your day to day life. Throw out your notes: Let go of old best practices and invent new practices fit for the future. Audit your assumptions: Consider assumptions about your work that may be obsolete and eliminate them. Ask the Questions: Consult with the stakeholders for your work and ask questions, especially ones that reveal fundamental objectives and needs. Reverse the Mentoring: Find someone with less experience to mentor you. Admit what you Don’t Know: Make a list of things you don’t know but need to understand and share it with others. Create a Playground: Define two types of work: 1) where success must be ensured and 2) where failure can be recovered from. Use #2 for experimenting and practicing your rookie moves. Disqualify Yourself: Take on a new challenge—perhaps taking a job that you aren’t fully qualified for, or just take on a new challenge that puts you at the bottom of a new learning curve. Remember, being a rookie or a veteran doesn’t classify you as a person; they are modes of behavior you can slip into and roles you can assume. For example, you can operate in rookie mode in one aspect of your work and in veteran mode in another. Being rookie smart is not the exclusive domain of the young, the inexperienced, or the naïve. Even the most experienced and successful professionals can renew themselves and find their rookie groove again.